You might feel anxious about language, real estate transactions, and a new life in Japan. 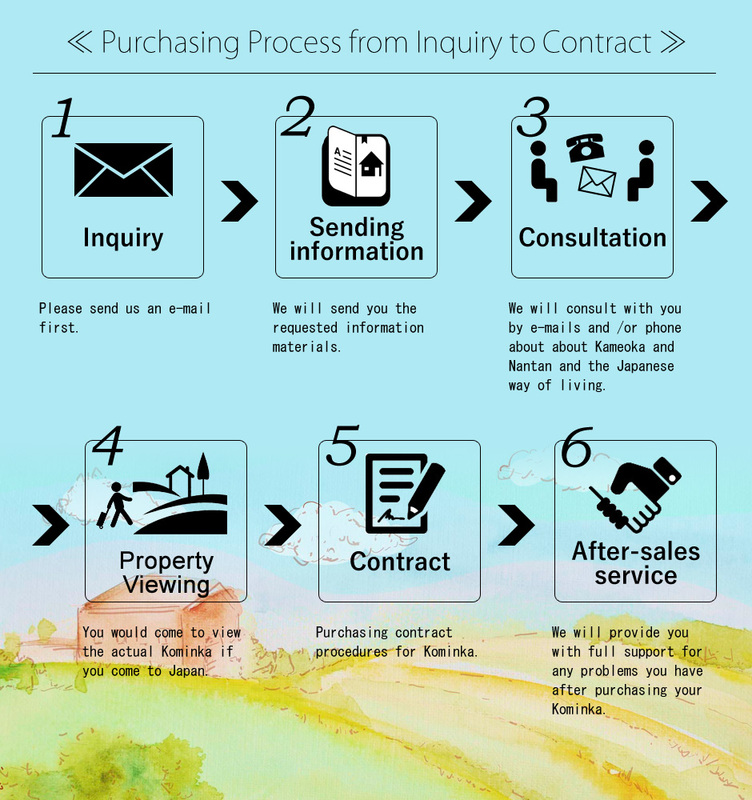 We are happy to provide you with full support in English from the moving procedures to the actual start of your new life in your Kominka. We are also happy to make arrangements with a judicial scrivener, a land-and-house-investigator, a lawyer, a financial planner, a tax accountant, banks, and other professionals that may useful in your new home and daily life. If there is anything we can help you with, please do not hesitate to contact with us.